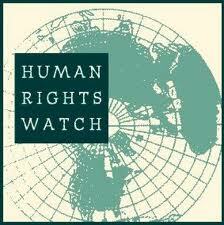 Human Rights Watch, in its newly issued 2013 World Report, has highlighted some of the most serious human rights issues in Turkey, including attacks on freedom of expression, assembly, and association, violence against women, and excessive force by security services. If the government is serious about its latest moves to address the Kurdish issue in Turkey, freeing the thousands of detained peaceful Kurdish political activists, journalists, human rights defenders, trade unionists, and students would be a good first step…Turkey needs to make human rights a priority in its approach to all of its citizens. This entry was posted in Excessive Force, Freedom of Association, Freedom of Expression, Kurds, PKK, Press Freedom, Turkey and tagged anti-terror laws, Censorship, Emma Sinclair-Webb, Freedom of Expression, human rights watch, PKK, Turkey. Bookmark the permalink.